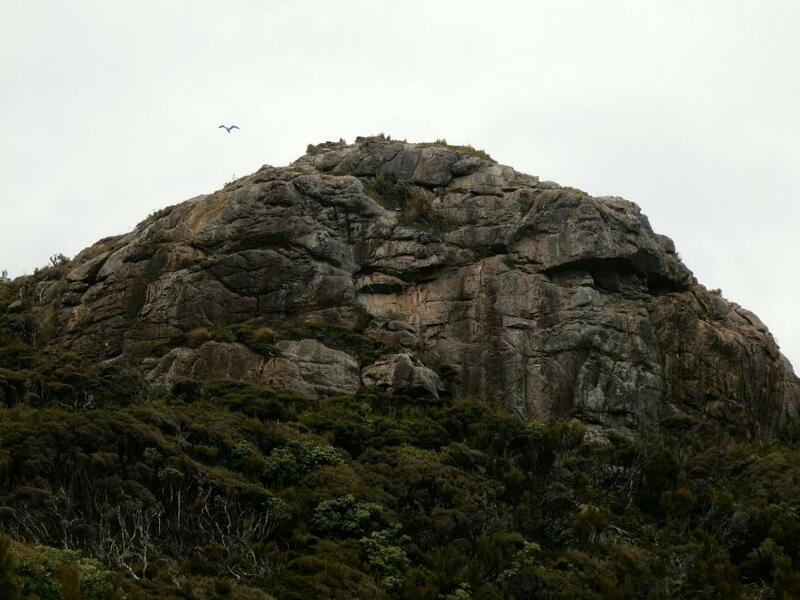 At Dynamite Point, Paterson Inlet, Stewart Island there is a beautiful granitic rock face. One can bush bash one's way up to the top of the rock face along either side. The face itself was to my knowledge previously unclimbed. The crag at Dynamite Point can only be accessed by either boat/kayak or by entering private land and enduring a bit of bush bashing. First ascent was completed free solo. There are a couple of cracks where nuts and cams may fit. The pitch is around 12-15 m high.